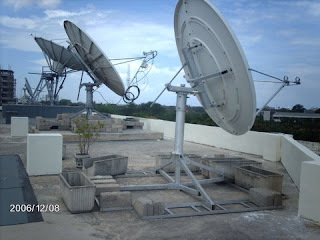 The wireless satellite dishes linking Satcom networks & their clients to the rest of the world. 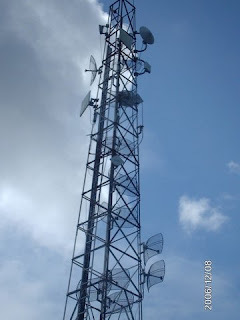 Wireless networking in much more utilisation in Dar. 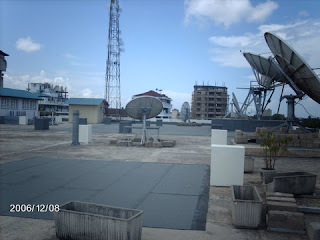 This is a mast installed on top of satcom networks building, Dar es salaam.